The diverse inter-Andean lowland rainforests are currently disappearing due to habitat destruction and fragmentation. Information on all the ecosystem services these forest provide and how they are maintained is scarce. 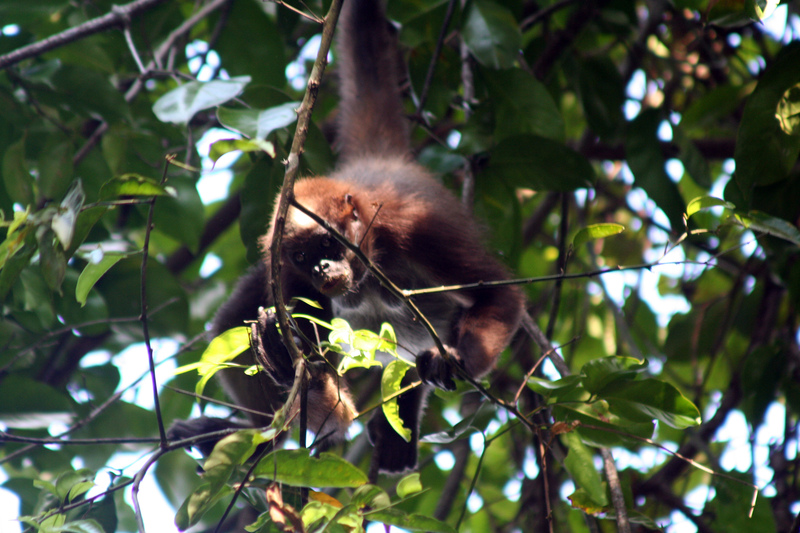 Our main objective is to study the role of two endangered primates (Ateles hybridus and Saguinus leucopus) in the maintenance of forests through seed dispersal. We will conduct behavioural studies on wild groups to quantify their diet and seed dispersal services. Data will aid land owners in forest restoration programmes and local workshops will increase awareness on these ecosystem services and the importance of these primates and their conservation.